• Children with incarcerated parents are 33% more likely to have speech or language problems – like stuttering or stammering – than otherwise similar children whose fathers have not been incarcerated. The grade point averages of children with incarcerated parents decline. • It is more common for children of incarcerated parents to drop out of school than it is for children of non-incarcerated parents, controlling for race, IQ, home quality, poverty status, and mother’s education. This is especially true for adolescent boys between the ages of 11 and 14 with a mother behind bars. 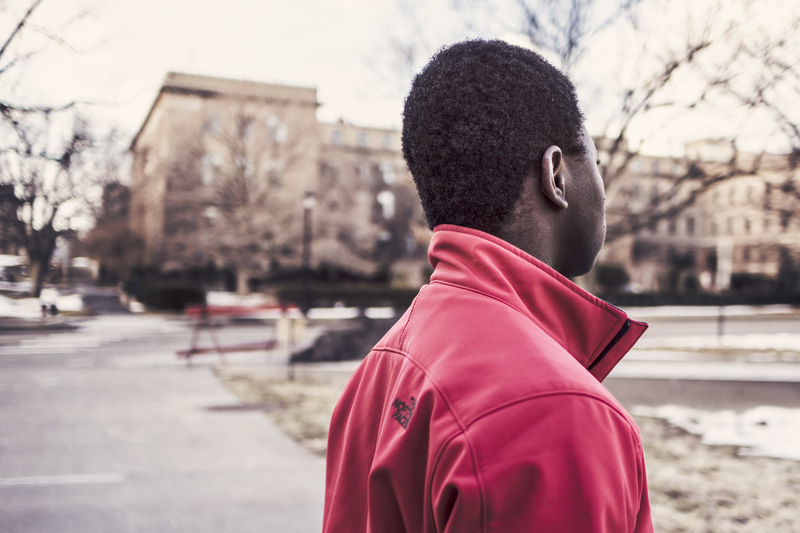 Such boys are 25% more likely to drop out of school, and they are 55% more likely to drop out of school because they themselves have been incarcerated. • Children of incarcerated fathers complete fewer years of school than children of non-incarcerated fathers, controlling for other likely confounding social and demographic characteristics. • Children with incarcerated parents are 48% more likely to have attention deficit disorder than children with non-incarcerated parents. They are 23% more likely to suffer from developmental delays. Children with incarcerated parents, especially sons of incarcerated fathers, are 43% more likely to suffer from behavioral problems. These differences show up in comparisons of otherwise similar children. • Children of incarcerated fathers suffer from worse physical health. They are a quarter to a third more likely than children of non-incarcerated fathers to suffer from migraines, asthma, and high cholesterol. • Their mental health is also worse than that of children of non-incarcerated fathers. 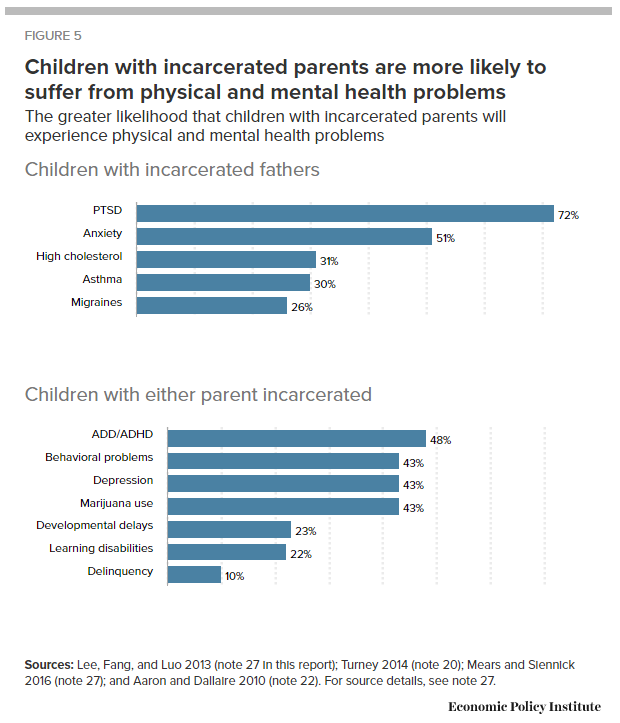 Children of incarcerated fathers are 51% more likely to suffer from anxiety, 43% more likely to suffer from depression, and 72% more likely to suffer from post-traumatic stress disorder. • As adults, daughters of parents who have been incarcerated have a higher body mass index, which is associated with other health problems, such as heart disease and diabetes. • Children of incarcerated parents are more likely to engage in behavior that exposes them to the criminal justice system. They are 43% more likely than socially and demographically similar children of non-incarcerated parents to smoke marijuana. They are 10% more likely to turn to delinquency than children without incarcerated parents.